The Auburn University coaches, assisted by current players, will run high level training sessions in the morning, afternoon and will end the day with competitive 11v11 games. All campers will have the opportunity to train and play on the Auburn University game field. The goalkeepers will receive specialized training by the Auburn coaches. We will also have a Q&A session where we will discuss the recruiting process and answer general questions about the NCAA rules. The coaches will provide feedback to the campers throughout the camp, our goal is to better educate and prepare those who wish to play at the next level. Equipment: Soccer ball, cleats, shin guards, bed linens, towels, pillows, alarm clock, toiletries, sunscreen, and weather appropriate training gear. Check in will start Friday at 1:00 PM and check-out will occur on Sunday between 11:30am-12:00pm. A full refund minus a $25.00 processing fee will be sent only to those requesting such refund in writing at least one week prior to camp. If within one week of the start of camp, with a written request, a refund minus $ 100.00 deposit will be issued. No refund will be given if a written request is not received prior to start of camp. During the week of camp, a per day pro-rated refund may be given if the camper has to leave camp early due to injury or illness. Your on line payment fee is non-refundable. ​1. Auburn University Employees will receive a 10% discount for relatives attending any Auburn Soccer Camp. 2. Auburn Athletics Department employees will receive a 25% discount for relatives attending any Auburn Soccer Camp. 4. Dependents of current camp staff will receive free tuition during any camp in which the parent is working. 2 weeks prior to participating in camp, each camper will have to complete the following paperwork. It requires either a physician signature or a copy of a current physical. You will also need to email a copy of the front and back of the medical insurance card. The AU medical staff will NOT allow campers to participate until we have these forms on file. Please submit all paperwork to your account. Once completing online registration, please make sure to upload your completed Medical Forms & Waiver in your Camp Network account (created during the online registration process). 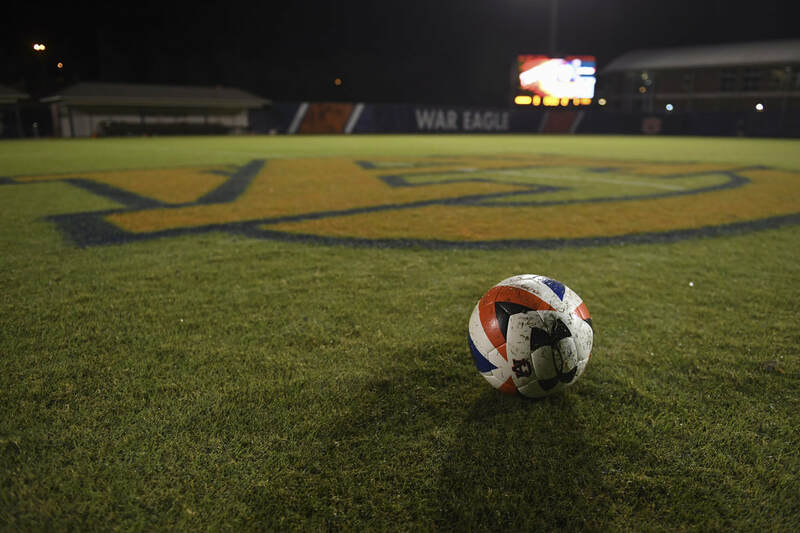 All Auburn Soccer Camps are open to any and all entrants, limited by age, gender or grade level.